For people over 65 years of age, loneliness is quite common. To avoid suffering from isolation, you need to understand its causes. It increases the likelihood of mortality by 26 percent. They experience more severe symptoms of the common cold by 5 percent than others. They have a 64 percent higher chance of developing dementia. Coronary bypass patients have a higher mortality rate of 5 times compared to others after their surgery. Social isolation and it’s influence on mortality is comparable to other risk factors such as smoking. Very socially isolated individuals have Medicare expenses $130 more than those who are not suffering from isolation. This is one of the common causes of loneliness. While you may want to spend as much time living in your own home as possible, if you live by yourself and have minimal contact with family and friends and only occasional visits from a home healthcare worker, you will spend much of your time feeling alone and isolated. When you are used to a certain way of living life and keeping yourself busy with work, it becomes difficult to deal with the idle time after retiring. You might miss the routine of going to work and the day-to-day interaction with colleagues, as well as keeping your mind busy. Health issues are often a serious cause of loneliness. You may experience pain, a lack of mobility, require special equipment or devices, or be on medication that makes it more difficult for you to venture out and socialize with others. 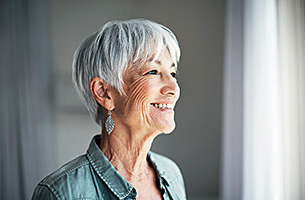 There could be several reasons for not having someone to interact with such as having close friends or spouses pass away, living in a different area, not having the means for a caregiver, or suffering from lack of mobility which may not allow you to meet up and spend time together with those you are close to. It is often a major cause of stress. It also restricts other activities such as going out, reducing the opportunities of social interaction and making you prone to isolation. Verbal Signs – When you start to see signs of loneliness in yourself or if someone points them out to you, that should be a trigger to start thinking about how you can improve them. Behavioural Changes – Isolation may make you defeated or miserable. It will stop you from engaging with others and lead you to become withdrawn. On the other hand, you could also want more physical contact, such as hugging, than usual. Imaginary Health Issues – When you feel the need to seek more attention from your loved ones and start thinking of ways to make it happen such as complaining about a variety of health problems that you aren’t actually experiencing, you could be suffering from isolation. Befriending Strangers – If you catch yourself frequently interacting with unlikely people, you may want to question why you feel the need to do so because it is a sign of loneliness. In addition to you, those caring for you are also vulnerable to isolation. Caregivers may not be able to set aside their responsibilities to engage in their social life which can cause loneliness and depression. 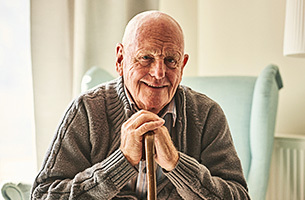 Respite care provides the option for you to still receive the necessary care while those who care for you can take a break, catch up on their social connections, and enjoy some free time. At The Holiday Retirement communities, we have a capable team to take care of your aging loved ones. We have trained staff for each facility such as the kitchen staff, medical staff, activity staff, housekeeping staff, and administrative staff who are aware of their responsibilities, and will look after the senior residents like their own family. For more information about our facility and the services we provide, you may reach out to us by calling 860-233-8208.